Convert purchased or rental iTunes M4V videos to Quicktime MOV, MP4 videos on Windows. 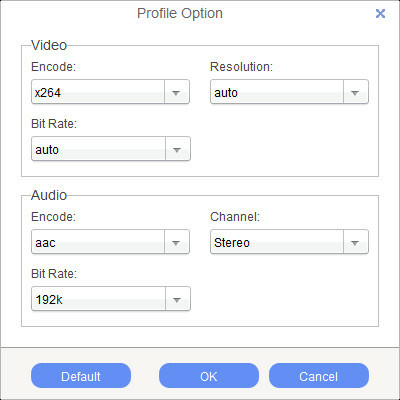 iTunes Video Converter Plus Windows is designed for Windows users to remove DRM protection from iTunes rented and purchased M4V videos and convert to plain formats, such as MP4, MOV, AVI, FLV, MPEG, for playback on popular mobile devices and media players in high speed and with 100% original video quality preserved. After you install iTunes M4V Converter Plus Windows on your computer and run the iTunes M4V Converter Plus to remove iTunes DRM, you'll see the main window as the following. 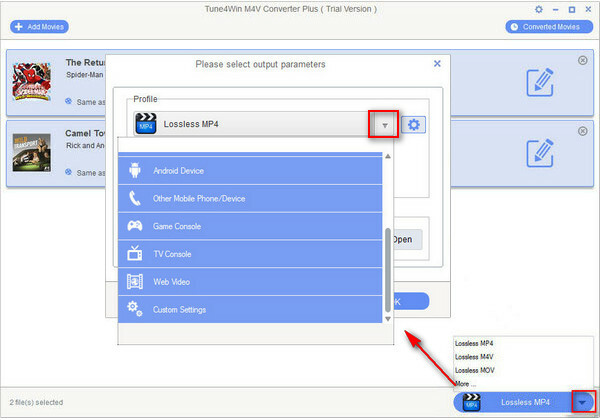 iTunes M4V Converter Plus Windows supports converting DRM protected M4V movies, TV Shows or other videos to almost all popular devices on Windows, such as iPod, iPad, iPhone, Samsung, Sony PSP, PS4, Microsoft Zune, Xbox One, Blackberry, Sony Ericsson, Huawei, Nokia Series, TV Console and other mobile phones and media players.